Priced at a premium over Mak lubricant engine oil, launched in October last year. The ‘Scooterz oil’, for scooters, costs Rs 286 for a 800ml pack. The ‘Bikerz oil’, for bikes, costs Rs 272 for an 800ml pack. This is a mineral-based oil. In association with JX Nippon Two lubricants, Honda Motorcycles & Scooters India (HMSI) has launched the 'ENEOS Honda Engine Oil' for scooters and motorcycles. While the ENEOS Honda BIKERZ OIL is priced at Rs 272 (800ml pack) and Rs 341 (1L pack), the ENEOS Honda SCOOTERZ OIL costs Rs 286 for an 800ml pack. The company had also partnered with MAK Lubricants back in October 2018 to launch more affordable options at Rs 299 for 800ml (scooters) and Rs 278 for 900ml (motorcycles) packs. Coming out with 800ml packs is a welcome move as small-capacity engines don't need more than that. The usually available 1-litre packs led to a lot of wastage. New Delhi, 23 January 2019: Taking a step further to delight the ever-growing family of over 40 million happy customers, Honda Motorcycle & Scooter India Pvt. Ltd. in association with JX Nippon TWO Lubricants India Pvt. 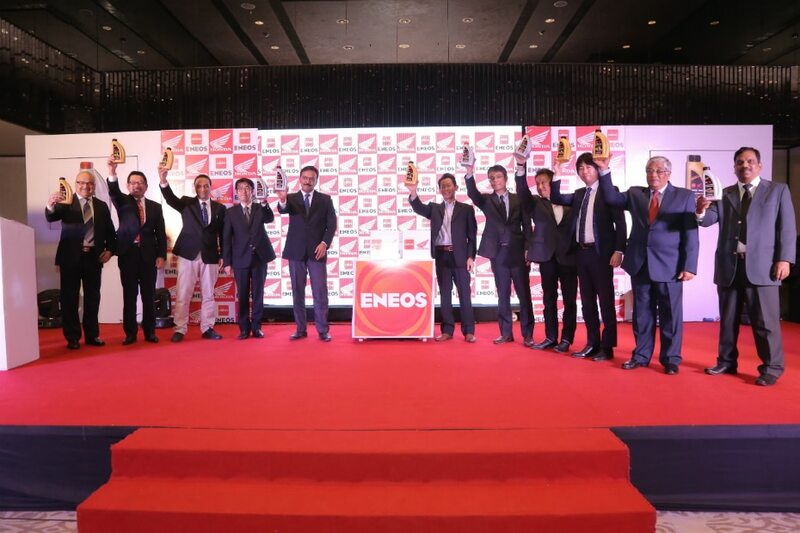 Ltd. today announced the launch of exclusive co-branded ‘ENEOS Honda Engine Oil’. JX Nippon TWO Lubricants India Pvt. Ltd. is a joint venture between JXTG Nippon Oil & Energy Corporation and Tide Water Oil. Working with Honda, the product is a result of a long trusted association. ENEOS Honda is specially formulated for Honda’s diverse product portfolio. It comes in two variants ‘BIKERZ OIL’ for Honda motorcycles and ‘SCOOTERZ OIL’ for Honda scooters. The co-branded oil will be available for sale in the market by the end of January 2019. ENEOS Honda BIKERZ OIL will be available at Rs.272 (800ml pack) and Rs.341 (1L pack). ENEOS Honda SCOOTERZ OIL will be available in 800ml pack at MRP Rs. 286. Backed by the two-wheeler segment growth, the lubricants market is expanding as well. With the launch of ENEOS Honda Engine Oil, Honda aims to meet customer expectations for value services & genuine components.